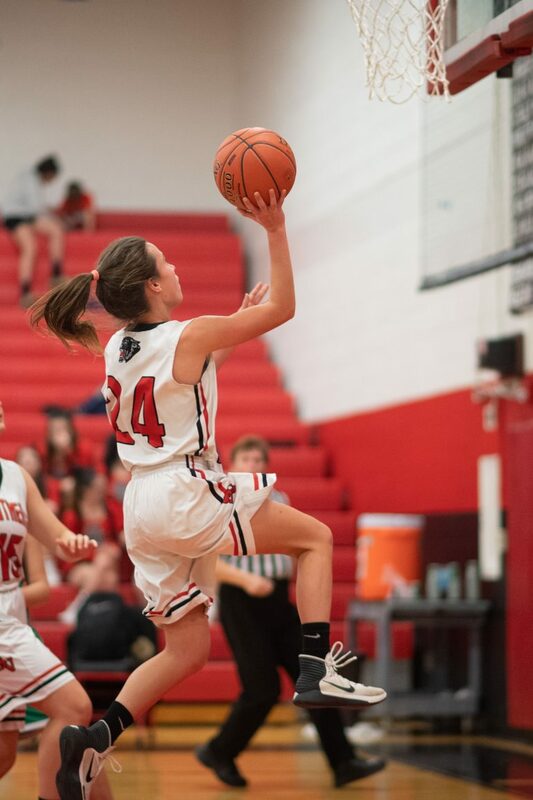 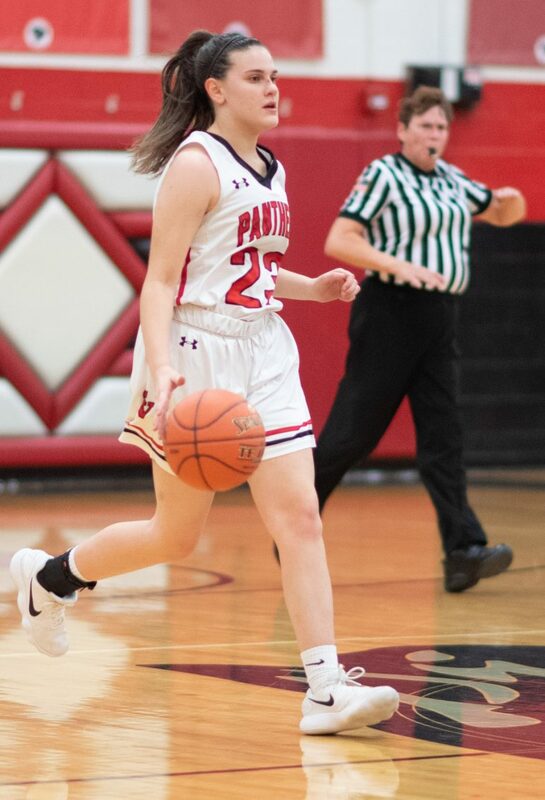 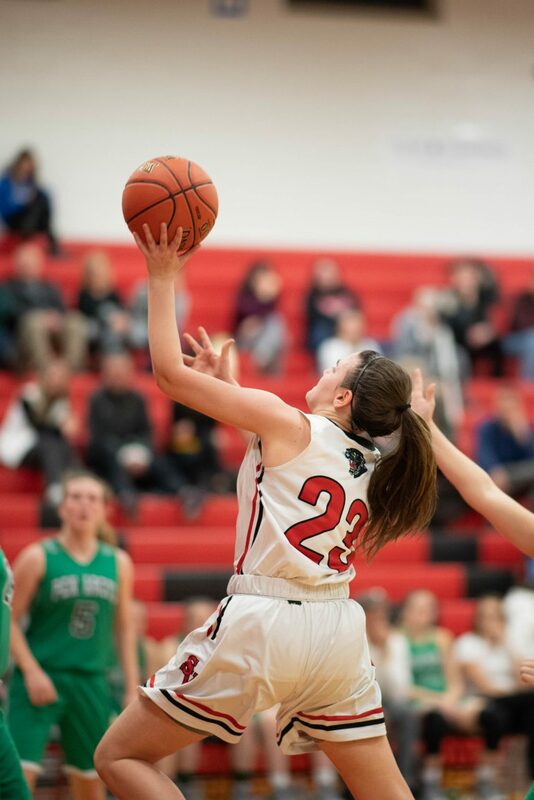 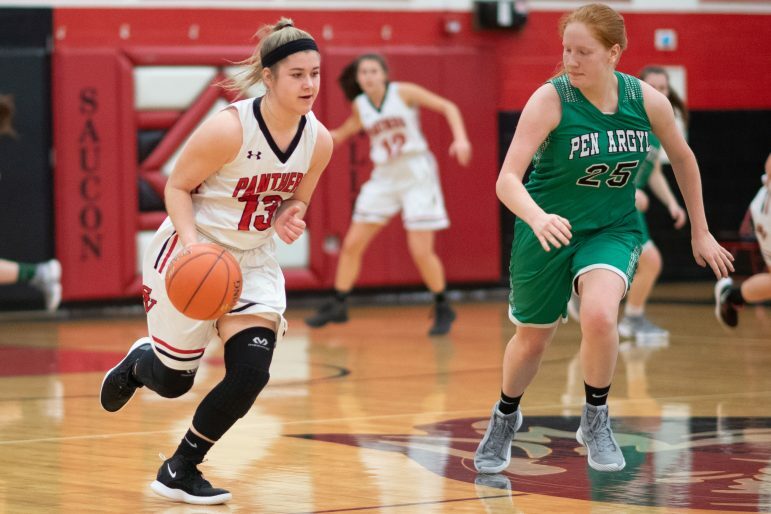 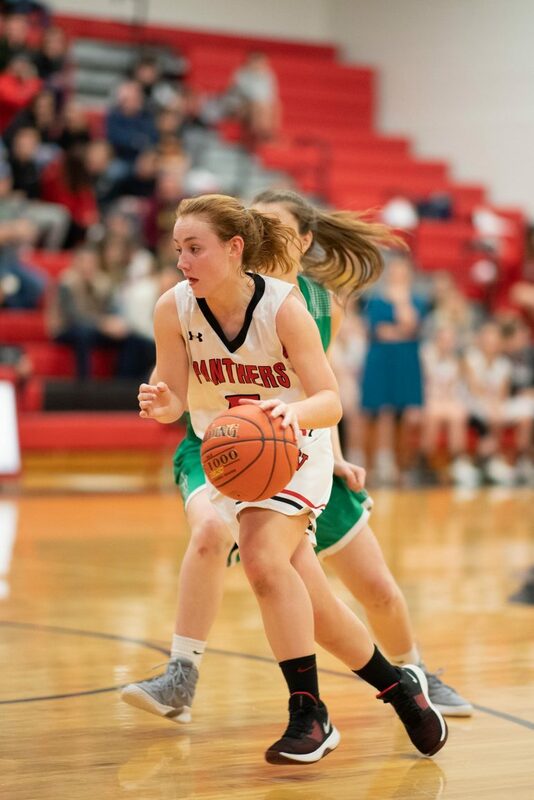 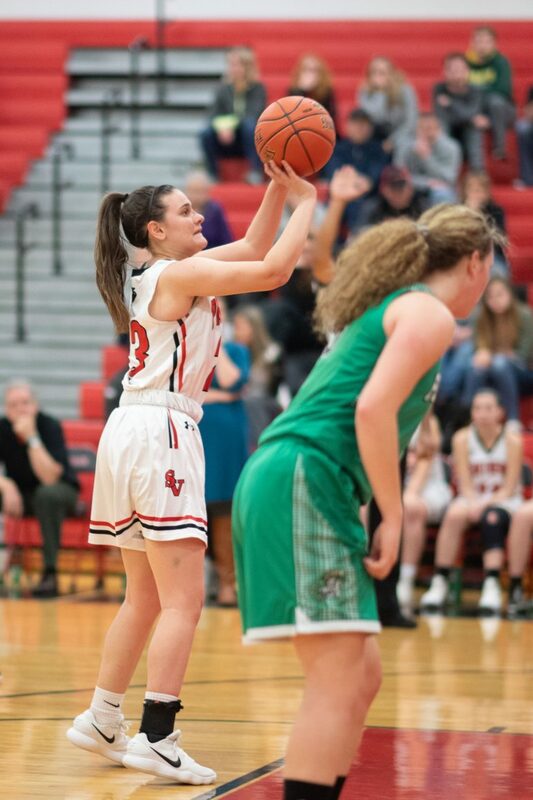 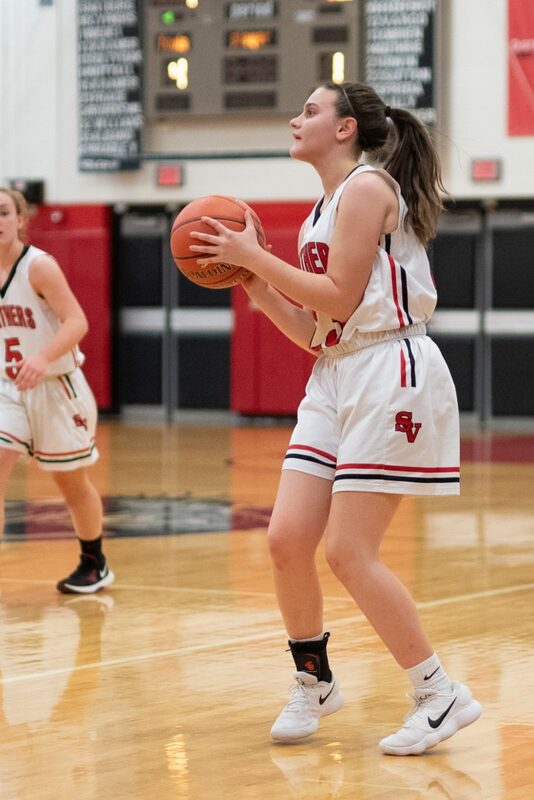 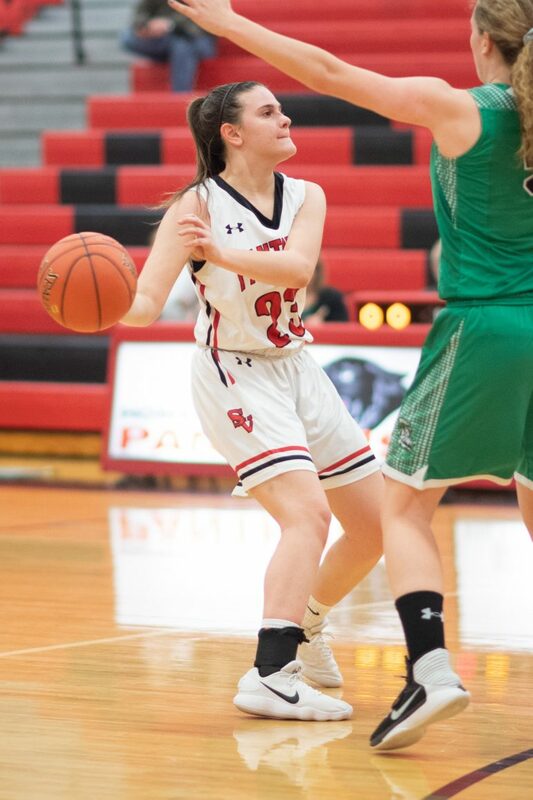 Sophomore Saucon girls basketball player Ally Frace was the lead scorer against Pen Argyl, netting 18 points for the Panthers. 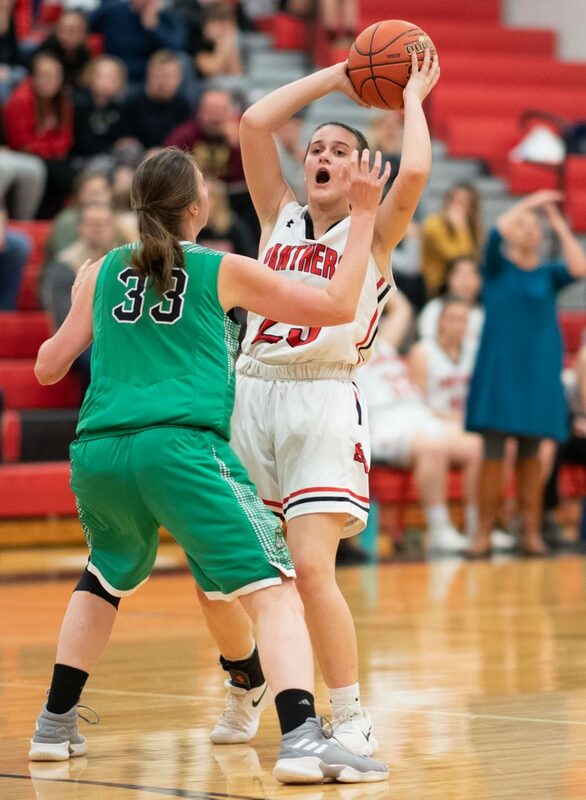 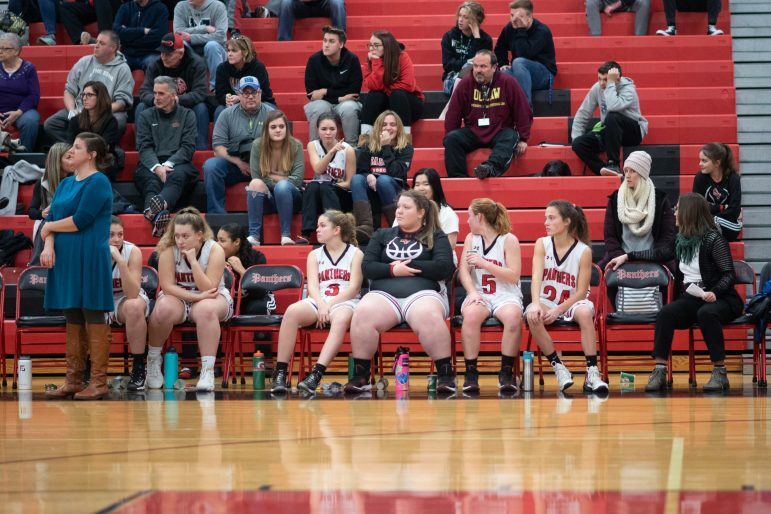 The Saucon Valley girls basketball team got off to a bit of a slow start in their home game against the Pen Argyl Green Knights Monday. 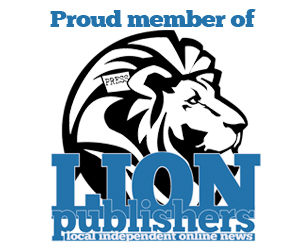 However their workmanship eventually began to pay off. 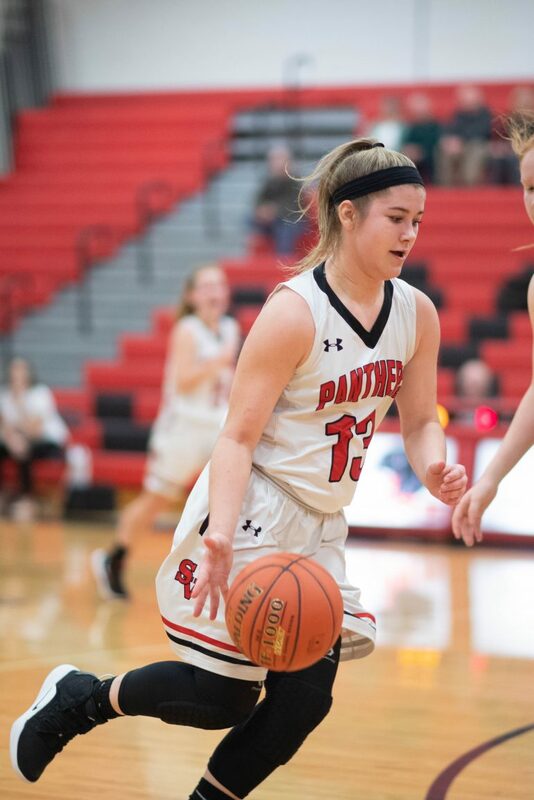 At the end of the first period the Panthers trailed by just six points, 17-11. 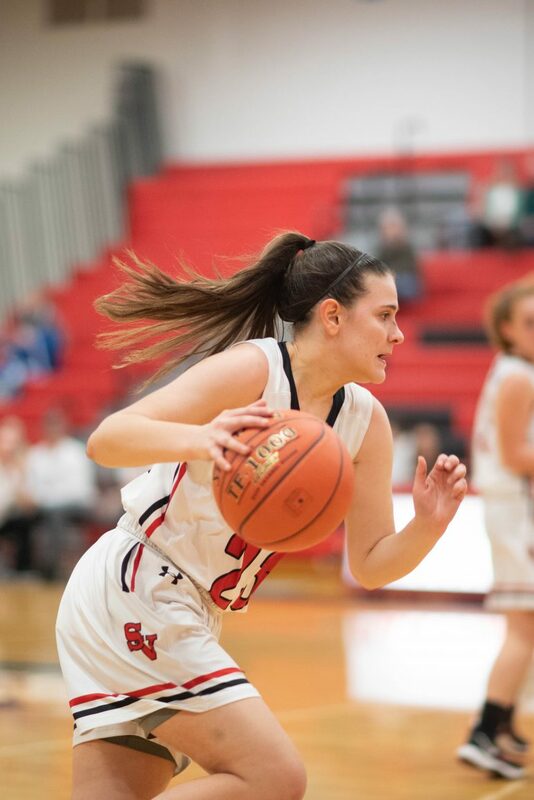 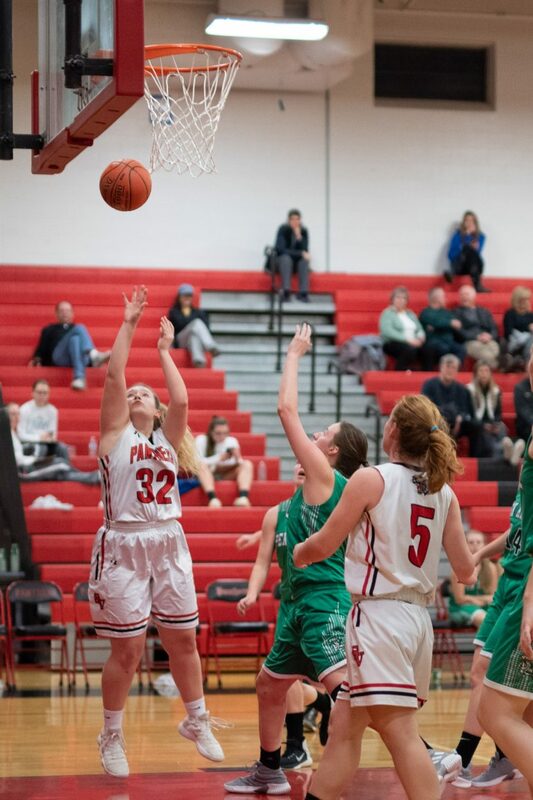 Sophomore Ally Frace once again gave Saucon a shot of offense. 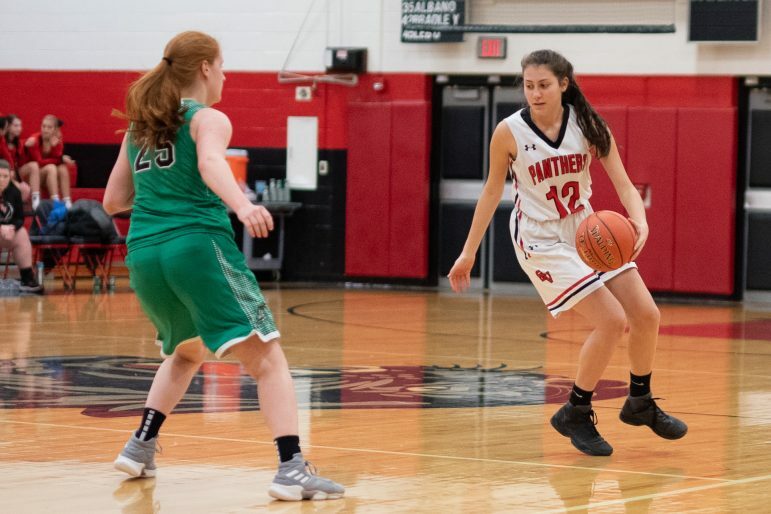 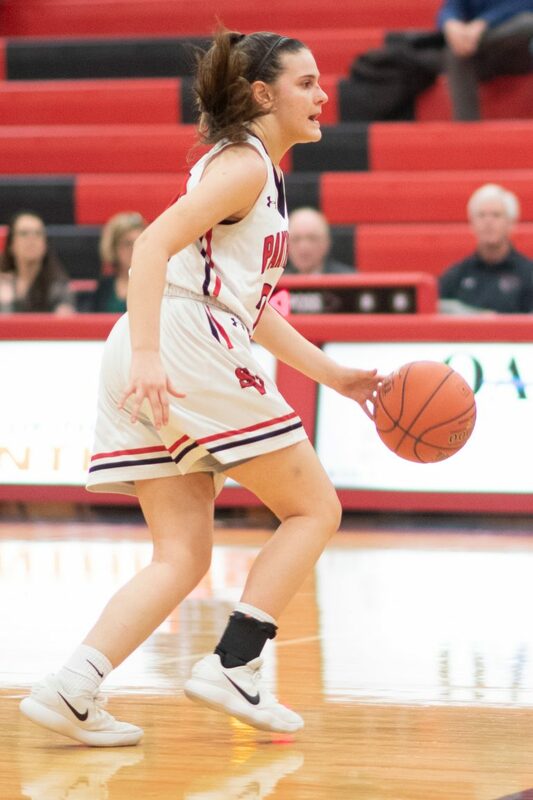 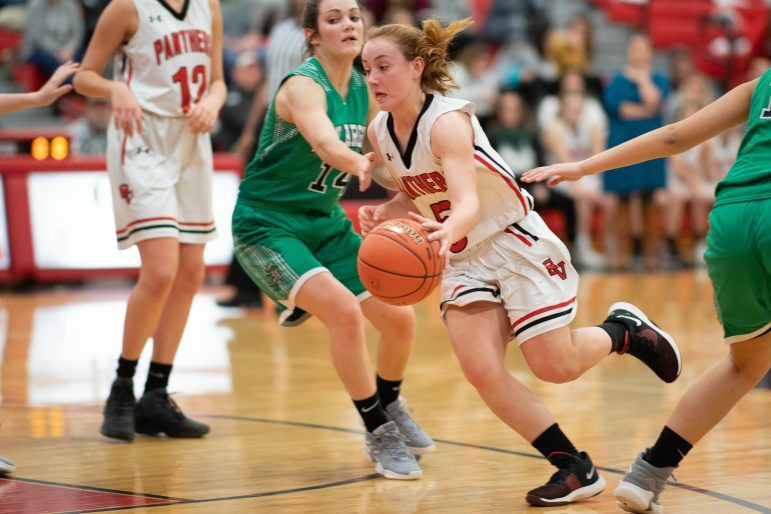 Her 10-second quarter points kept the Panthers in the game, as Saucon fought back to within three with two minutes until the break. 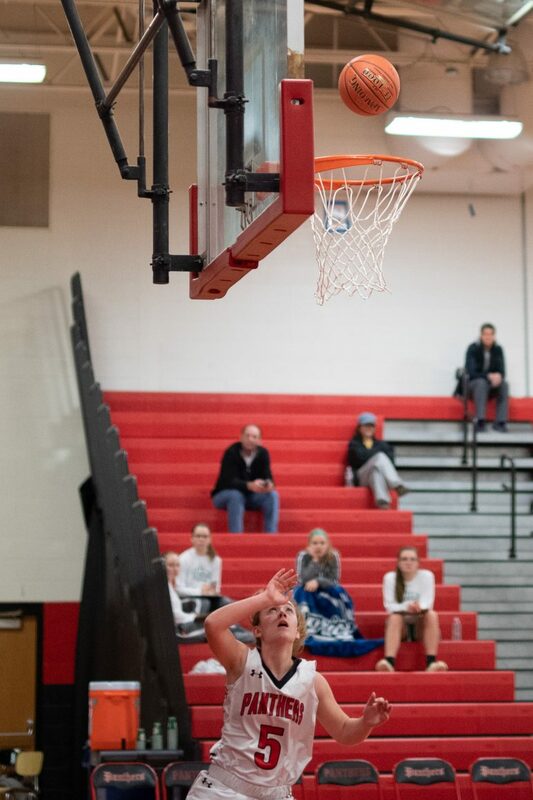 However, halftime brought Saucon a six-point deficit. 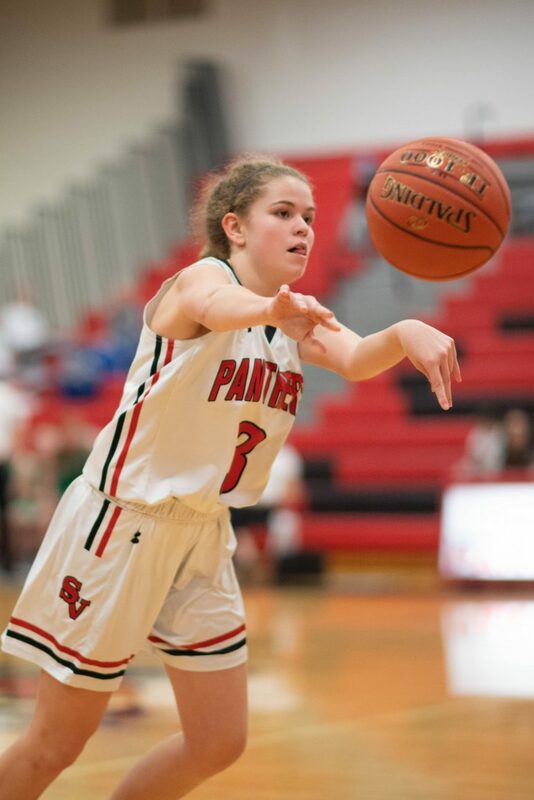 But the Panthers were still very much within striking distance. 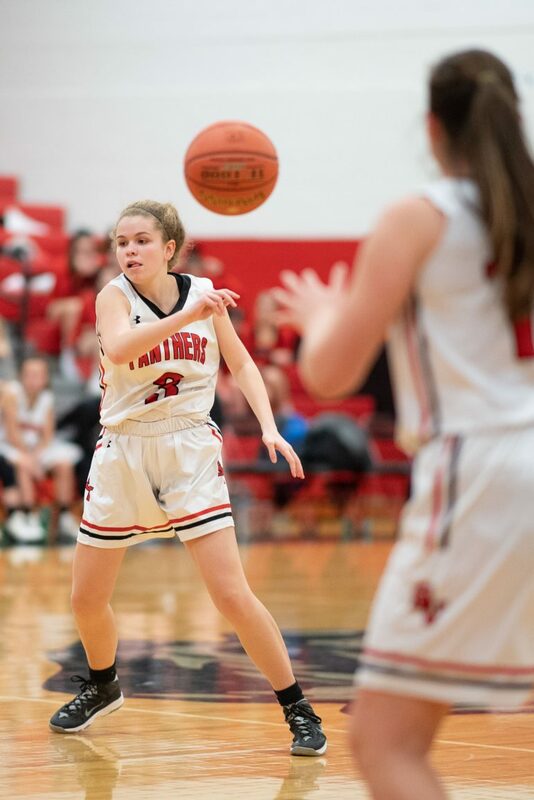 Once again, however, the third period proved costly for the Panthers. 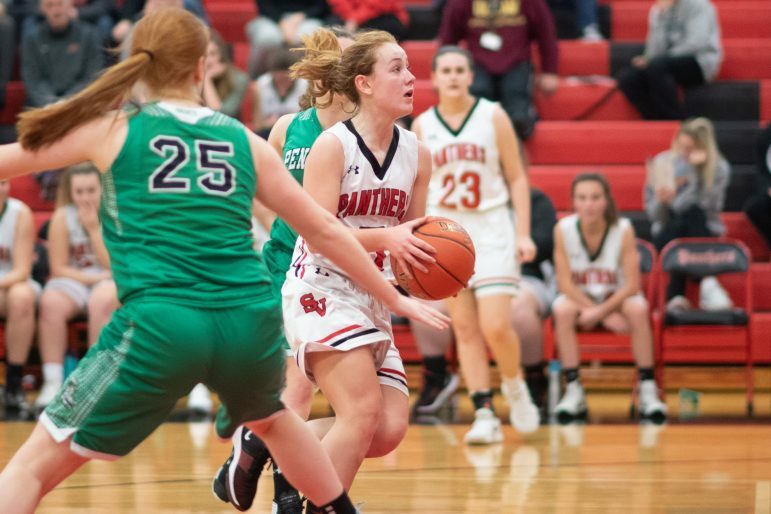 For the second game in a row, the Panther offense went stone-cold after the break. 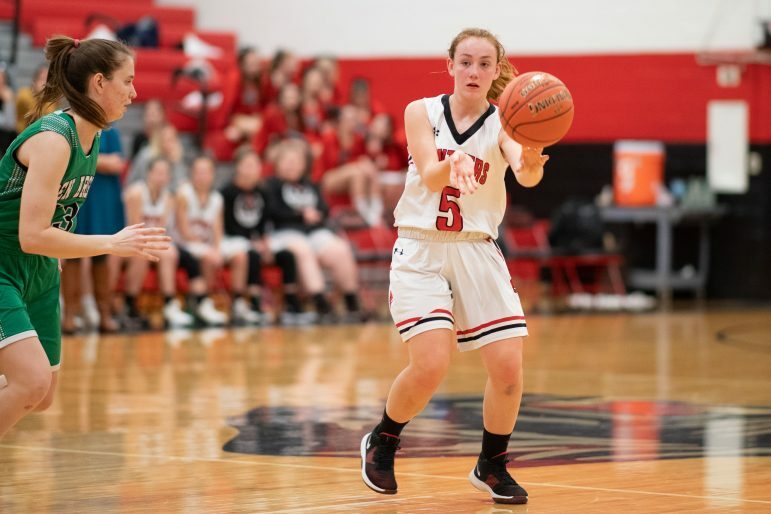 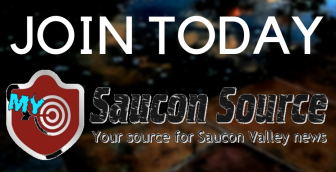 Saucon Valley only generated two third-period points and their deficit grew to a 40-26 disadvantage. 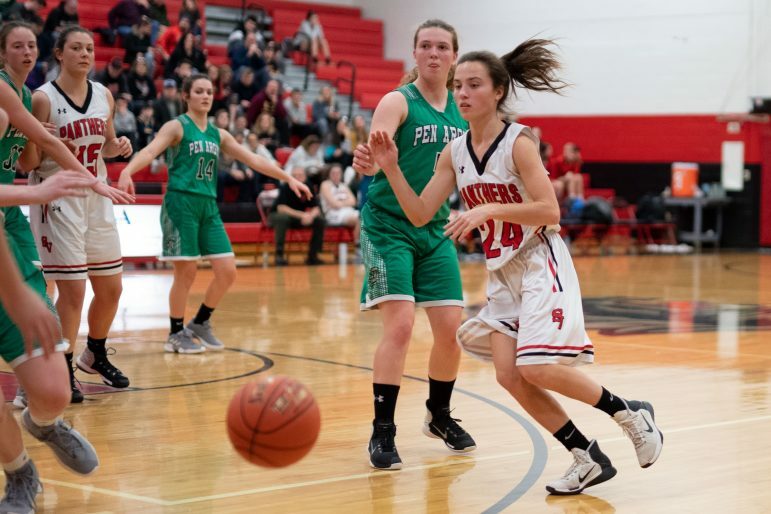 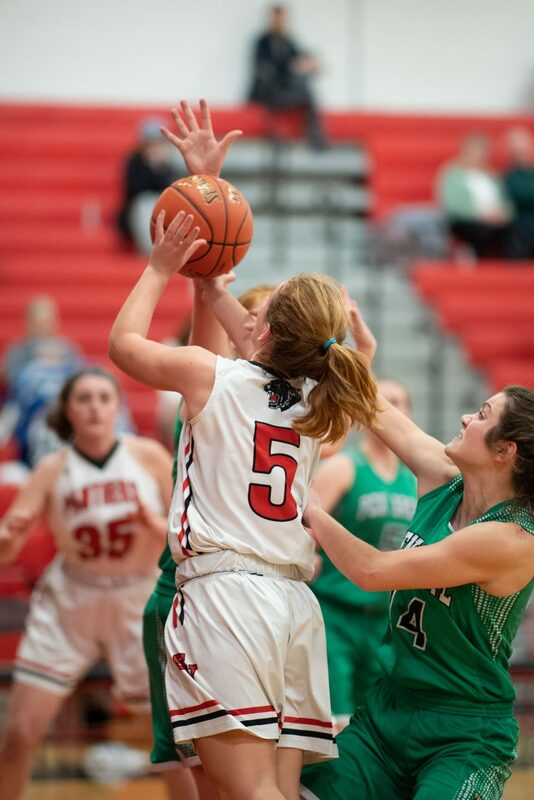 Saucon continued to play hard down the stretch, but Pen Argyl was the better team that night. 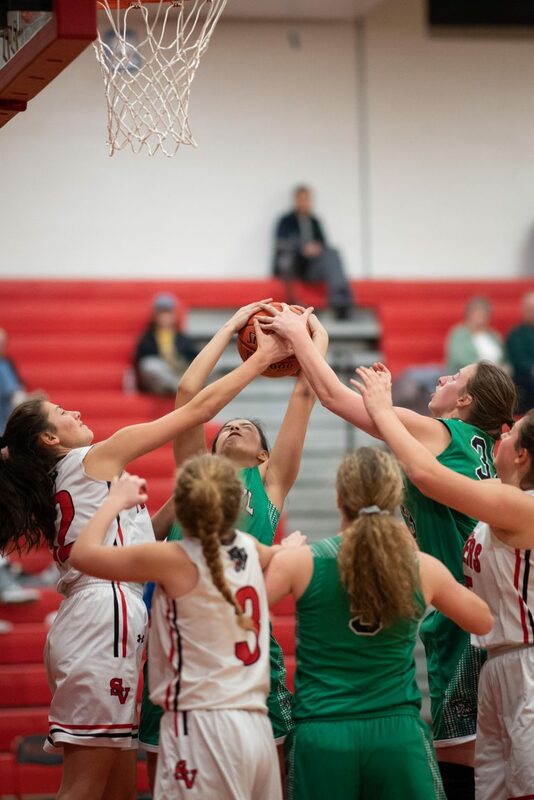 The Green Knights defeated the Panthers 52-35. 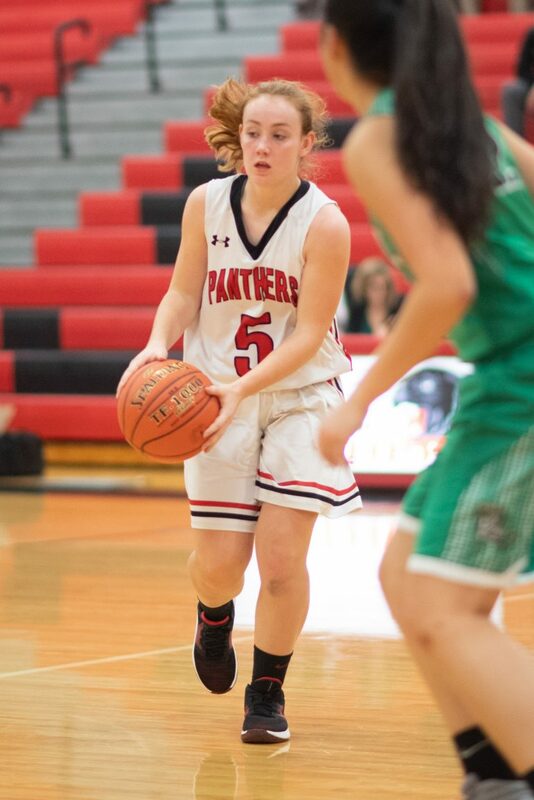 Sophomore Ally Frace led the Panthers with 18 points. 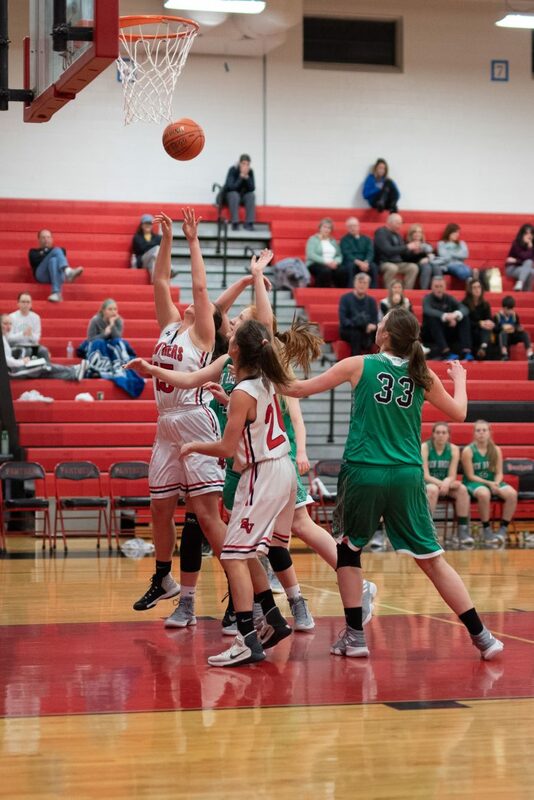 Pen Argyl senior Gabrielle Weaver (18) and junior Brooke LaBarre (10) paced the Pen Argyl scorers. 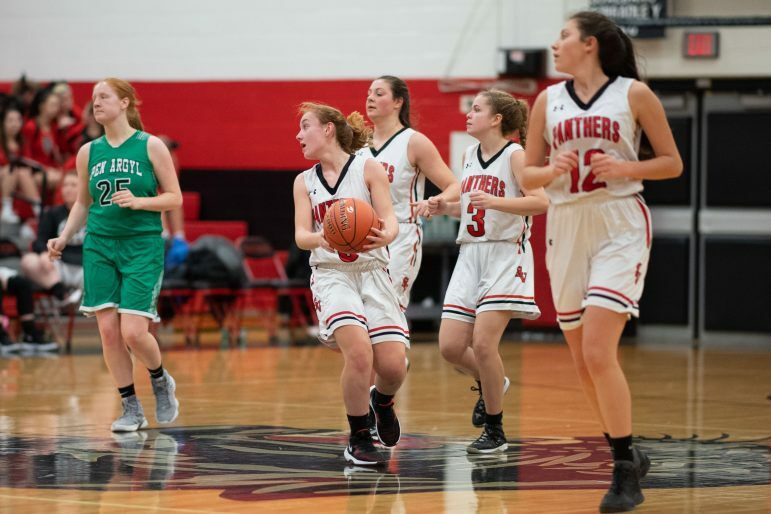 Up Next: After a game against Catasauqua Wednesday night, the Panthers will play Notre Dame-Green Pond away this Friday, Jan. 18 at 6:45 p.m.
All photos below are by Chris Christian.